To keep the feed of this photo challenge a little diverse today I am bringing you some drinks. 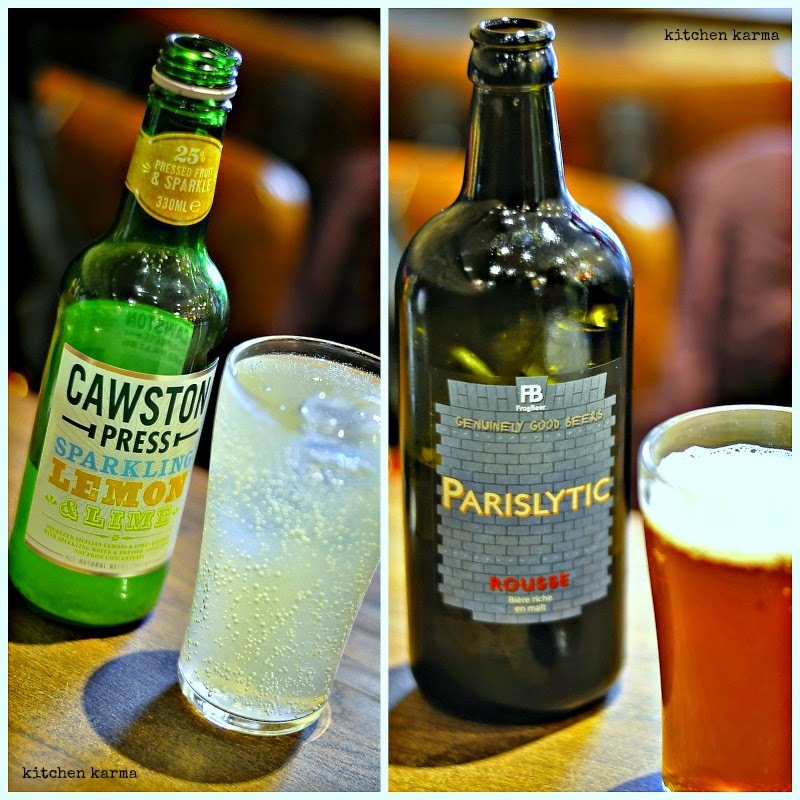 On offer are a beer and a lemon & lime sparkling drink. The drinks are very different, but went rather well with the burgers we had them with. Yes I am still sharing my Paris food photos. But I have more or less shared most of the food photographs I had taken there, so from tomorrow we will see new stuff. P.S. If you are curious to know what kind of burgers we washed down with these drinks please click here.